A race the Japanese have taken over and again this horse has flown over from the Asian country to be involved and when running over there he has been going at a good rate. He won the Japan Cup in 2017 beating some of these runners and then last time out finished a good third in a Group 1 over slightly further in Japan. Outside chance. 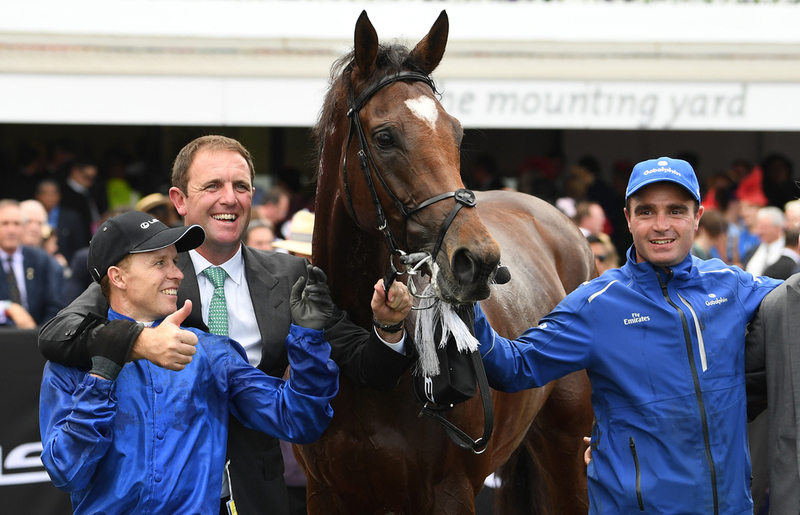 This Godolphin runner and the only for Charlie Appleby in this contest looks to have a leading chance if performing to the same standard as his three Group 2 wins over this distance last year. Arguably his best win last year was at York when narrowly taking the spoils in the Great Voltigeur just beating stablemate Cross Counter who franked that form by winning the Melbourne Cup. Last time out in his first run of the season over course and distance he landed a nice Group 2 contest beating many of his rivals on Saturday. One of two Aidan O'Brien runners in this Group 1 contest and this four year old filly is a smart horse who has plenty of strong form in Britain but will certainly have to be at her best to land this. She won the Group 2 Ribblesdale Stakes at Ascot at the start of last season and from then finished second in three other Group 1 contests and might see much of the same on Saturday. The second and final Godolphin runner in the field has been a smart runner in defeat in his last four runs this year with them all coming at the Meydan track with two of them over course an distance. Last time out he was a good second behind Old Persian in a Group 2 contest and the time before that again he was second behind another stablemate in Spotify. Each way angle. The second string for the Aidan O'Brien yard that might look to be a pace setter for Magic Wand as it will need a career best to go on and land this contest. The four year olds best form came when winning the Group 3 Hampton Court Stakes at Royal Ascot in 2018 but that was his last win and is opposable here. This Japanese raider also is a runner with a smart chance on the weekend after finishing a good fourth in this contest last year and has every chance of making a bold bid again. Recently in Japan he has been racing to a high standard with two wins, one coming in Grade 1 company, and a good second in his last three races. One to watch. Next up is another Japanese exploit who back in 2017 finished second behind the second favourite Rey De Oro in the Japan Cup and then last year finished third in the same race. His preparation coming into the contest has been average, having three runs and being in and around the frame on two of them. Needs to go better but does hold each way claims. The only true English raider in this contest but looks like he will need a miracle to go on and win this contest but place claims should be the main aim for this yard. Finished ninth in this race last year but has since come on winning over this distance in a Group 1 in Canada which is his best form to take into the race.